The only things I disagree with on the Chairman’s testimony is the “more persistant than expected” comment. I suspect they quite expected it. In other news, SF is one of the 5 areas projected to grow (see name link) as projected by Clear Capital. Ex-SFer thoughts? I hope you haven’t dropped out along with NoeArch. Maybe everyone is just on summer vac. Or maybe it’s all just getting tiring…..
eddy, I’ll take a 4% observed decline for a 0.2% predicted increase any day of the week. Just like all those economists who predicted 154,000 jobs last week only to have the actual number be just about none. I assume there will be some effect from the change in mortgage limits, and I suspect this is what is driving a bit of a bounce right now in SF. People are stupid and don’t realize that when the mortgage limits fall, prices will fall. I suspect many buyer’s realtors are likely telling them to hurry up and buy before the limits drop, which is exactly against the buyer’s interest, but that should be no surprise. We’ll know soon enough whether the decreasing limits had an effect. I assume that pendings will start to fall in September if it had an effect. I’m noticing a decrease in the average listing price for new listings, which could mean sellers who would be impacted by the upcoming limits got out while they could. QE3. Woohoo. Time for more fake recovery and bailouts for banksters! “In other news, SF is one of the 5 areas projected to grow (see name link) as projected by Clear Capital. That’s because it’s one of 5 areas with a positive number for 2nd half of 2011 growth. I wonder where San Jose MSA fits on this — Santa Clara County is a big part of the Bay Area housing market, and parts of it may be better performing than SF. Anyone that thought the Fed / Gov would let housing and the markets in general spin out of control was mistaken. This is one case where past performance can predict future outcomes. Buying a home still has some risk but if you’re waiting for 1996 pricing than you really need to re-think your strategy and get comfortable with the concept of renting. Not that there is anything wrong with renting, and I think that most people might be better off renting if they don’t have a solid / stable 5-7 year plan. The lower inventory and higher sales numbers are quite surprising to me. It is a positive sign. It will be fun to look back over this period of time to see exactly how the housing markets have performed. I think we’ll be surprised at the overall resiliency in spite of some pretty horrendous economic times. Well, housing and the markets in general DID spin out of control. Remember 2008 and 2009? We can debate whether the housing markets are still spiraling down, but nobody could seriously contest that both housing and the markets generally crashed hard (heck, housing declines recently passed those of the Great Depression). Never said that housing didn’t adjust. But the biggest adjustments came from the elimination of no-doc, neg-am loans and predatory lending and lending to ill-informed people that thought real-estate could only go one-way, up. There was a pretty dramatic and immediate national adjustment. I was surprised at how fast it adjusted. And there still are, and will be, further adjustments. But the free fall has largely stopped; and short of something major happening, I don’t see another free fall from occurring. The fed / gov have made it clear that they will intervene. We should all feel lucky to live in one of the healthiest cities in the country. One that has people doing so good they can afford mortgages on houses at 4 times national median! I’m quite comfortable that we’ll see across-the board haircuts in SF. We’re already reliably at or around 2002/2003 pricing. I’ll wait until PITI does not exceed comparable rents by more than 10%. We’re getting there in some cases. And if it never happens, the RE bubble has taught me a lot about alternatives to investing in housing. lol, I agree that SF is generally financially stronger than most. However, we have the lowest homeownership rate in California (35.8%) and one of the lowest in the country – so I’m not sure about that “they can afford mortgages” part of your comment. “They somehow manage to come up with rent” applies to a broader number of SF residents. Yes indeed. Regulation-based market distortion does have a big impact on supply and therefore on price. But it was already true 5 years ago when prices were going up in par with most of CA. Lending conditions have changed everywhere but yet SF’s prices have landed pretty quietly and are now starting to pick-up again. Disclosure: I have “skin” in the game, having bought 8 months ago. A few of you on here really say that a lot. But I’ve never seen any proof. To those of us who do this for a living it looks like late 2004/early 2005 prices. Those are your asking prices. Contract prices are more in the 2002/2003 neighborhood. No, nobody talks asking prices in the end. What would be the point of that? I submitted comparables to the city for calculating the tax, I was expecting a 5 to 10% drop in valuation, but instead it went up by around 3%. Zillow just updated my property and the change in the last 30 days is over 5%. I don’t know what changed in the last 30 days. Anyone? It’s sort of like what the dearth of real data in real estate brings everywhere including in this forum. People find what they want to find out of it. And for anyone who had to sit through the Q&A today, it was embarrassing and frightful– not Bernanke’s answers but the questions coming from Congress . . .
nah, I haven’t really gone anywhere… been really really busy at work and right now on vacation and focusing on exercise. thank you for your thoughts though! There has been no question for some time (at least in my mind) that there will be a QE3, since the Fed STILL has no exit strategy except “hope” that the markets will just get better bailing them out of their position, although the Fed will try to call it something else. However, in order to attempt QE3 the Fed had to “wait for cover”. This is one reason why I anticipated some pressure on equities etc. Although Bernanke loves the stock market above all, the horrific employment numbers out of the US as well as other macroeconomic data gives him cover, not to mention the severe pressure in Eurozone (where Italy is now in the cross hairs). The market action today is simply because this was the first time that Bernanke hinted that QE3 is an option. we all knew it, but this is a clear signal that it is under serious consideration… and that the mechanics are being worked out. although nanon is right in stating that reading FOMC minutes is like reading tea leaves and is open to much (mis)interpretation, it is also true that there is a certain way that Fed chairs speak. His speech was a clear signal that QE3 is on the table. If it were not, he would not have worded his speech this way. (I guess you’ll just have to trust me on this). Thus, commodities up, stocks up, gold/silver up. This is exactly the same pattern we saw with QE1 and QE2. unfortunately, the half life of “positive effect” shrinks with each iteration of QE. I can’t comment on how SF RE will benefit from QE3 until I know the mechanism that they decide to use. As I’ve said for some time, almost all things economic are now POLITICAL decisions, and thus can only be forecasted if you know the minds of the politicians. From an economic standpoint: unsurpringly we are trapped in the so-called “Japanese” situation. I am not sure there is a way out of this, and we may be in this prolonged period of stagnation for years/decades. credit crises are like this. I’ll think of more coherent things to say later, right now I have dinner! bon appetit! fluj and embarcadero are both right. Best properties/locations are at about late 2004/early 2005 prices (extreme outliers even better). Bulk of the SF market is at about 2002/2003 prices. Worst properties/locations are back to about 2000 (extreme outliers even worse). No, the bulk of the SF market is not at 2002/2003. Not SFRs, anyway. It is at late 2004/early 2005. I am speaking only of SFRs here. An outsize portion, 272/1216, have been D10 so far this year. They’re probably at 2002 levels. 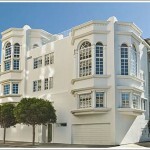 The last three months of 2011 have seen 124 D10 sales at $344 per square foot. The last three months of 2003 saw 199 sales at $431 psqft. The last three months of D10 2002, 173 sales at $364. So perhaps 5 % under 2002. The rest of the city is at late 2004, early 2005 levels by and large. Let’s look at it. Talking about right now versus late 2004, early 2005 D1-D9 SFRs. Since 4/13/2011, the last three months, a quarter, we’ve seen 529 sals at $552 per square foot. In November 2004 through 1/31/2005, the 568 SFR sales averaged $565 per square foot. That is about a 2.3 percent difference in price. And you can look at any chart showing the market over the past 10 years. It will display a marked spike in late 2004, followed by ups and downs generally trending up until spring 2007, with various neighborhoods and areas performing differently. But late 2004 saw the spike that began that last market which ran in SF until September 2008. We’re pretty much right at that stage. At this point, does it really seem as if the market is behaving in a manner that suggests a regression past late 2004/early 2005? Honestly? To most people who study the local market, the view is that the market will not regress back past that last great sea change. Despite all the talk on here to the contrary, 2002 this, 2003 that, 2000 plus inflation this, “wait till we get back to 1996,” “comparable rent” that. So your 2004/2005 is based on a subset of a subset of the market. You should have disclosed that in your original post. I believe the majority of people here are talking about SFR & Condo in all districts of SF. 1)Jobs: Sorry,none to be found. 2)Bailout: All the money was passed out a few years back; no more on horizon. 3) Raid social security fund: There’s a lot in there but it’s in the form of IOU’s. 4) Reagonomics: tried that for decades, nearly tipped us over into a Depression. 5) High savings rate: Nope, close to zero. 6) Stimulus package part 2: Nope, midterm elections took care of that. 7) High conforming loan limits: It’s all over in October. 8) 401K funds: Most people don’t have anything substantial in there. Not to mention the fact that if you take out a 401k loan and you change/ loose your job you have to pay it back right away (or else). 9) Innovation driving new economy: Ummm, it’s a little hard to innovate when you need that day job to pay off student loans and keep your family’s heatlh insurance coverage. 10) QE: I really have no idea what this is. 11) Get the money back with Civil/ criminal prosecutions: They got their bailout AND kept their job AND got a bouus. 12)Social networking dot com bubble: Irrational Exuberance. 13)Rising income: Have you been to a performance review meeting lately? 14) Rich people can buy anytime they want: What, the same 10 people are gonna sell houses back and forth to each other just for the fun of it? 15) Irrational economic behavior: Yeah,that might actully help things out :). Mr.Schiller (sp) says it aint gonna happen. The Trend is Your Friend says it aint gona happen. Let it go; let it fall. It’s not the end of the world. @lyqwyd, “so your 2004/2005 is based on a subset of a subset of the market. You should have disclosed that in your original post. I have always differentiated between D10 and the rest of SF, and SFR and condos. I can maybe examine condos later on this week if I have time. you didn’t in your first posts on this thread so obviously it’s not always. I don’t feel the need to be remedial every time I write something. The two individuals I was speaking to know where I’m coming from, there. So should anybody who ever reads what I have to say, or indeed follows the market with precision. If you want to make a case for why one should not differentiate, feel free. I agree that if you cut the weakest performing segments out of your calculations, the results will be more favorable. Yeah, that’s an easy criticism isn’t it? Meanwhile reality remains, um, real. Prestige Index is back to 2000. Yes, read about the changes made to Zillow recently. They added additional data on remodeling and other things that skewed numbers in the past. Theoretically, it should be more accurate. That index shows right now as pretty even with late 2004. Come on, dude. You can’t compare 2000 to 2011 without adjusting for inflation. It’s a long period, and CPI has risen over 30% during that period. That makes a big difference in wage:housing value ratio. Again, inflation is relevant because this is how housing busts often work. Prices will drop sharply, and then stay flat while inflation does its magic. 1) Share of future appreciation in the condo. 2) Stocks that I received from work (a mature biotech company). 3) Any gains that accrued to me from a future stimulus package. He didn’t take the deal! It takes real output from the collecitve enterprise of our country to support the RE market. That output is either too diminished or too poorly allocated to support the RE market in its current form. Therefore, we will see significant futher declines. Did I still loose you? It’s “lose,” and the jobs comment is still bogus. Not to mention the other eight or nine limbs you went out on. That was all there was to it, eh? That’s what you’re saying? On a micro level, in a changing city? Come on now. Of course inflation matters when we’re now talking about such long periods — 7-8 years or longer. CPI is up over 22% since December 2003. We’ve been talking about prices back at 2002/2003 levels even without factoring in inflation, but they are clearly back that far, and farther, when one properly accounts for inflation. Inflation is real even though most people ignore it because it is not readily apparent. Thus, one who bought a nice place in 2003 for $1 million and now sells it for $1,050,000 thinks they did great and avoided the housing collapse. In fact, they’re down about $170,000 in real 2011 dollars, plus commissions, plus any “owner premium.” But they ignore all that, pat themselves on the back, and are happy (and realtors crow about how resilient the housing market is). It’s a coping mechanism and perfectly okay – we all use them. But it does not change reality. By the way, the Prestige Index is just a tad over mid-2001 levels (not inflation adjusted). Remember that we had two bubbles in the Bay Area. A few more thoughts on the current situation. I continue to be surprised that so many people misunderstand the severity of our current situation. Here is where I see us. We are still trapped in a period of massive deleveraging. Consumers, businesses, AND govt are all over indebted. This is basically world wide. in addition almost all major world banks are insolvent, NOT illiquid. They are being supported by covert and overt bailouts and also bay accounting rule changes and gimmicks. The debts must be written down, there is no way to pay many of them back. But if they are written down then the banks fail. Thus, our govt had and has a choice. Write down the debts and face immediate depression, or extend and pretend and pray and prop up zombie banks. The latter was chosen. Once leaders chose to prop up banks at the detriment of jobs it was obvious that the recession would be prolonged. Thus here we are. Parasitic zombie banks sucking off the fruits of all labor, crushing hiring. This is exacerbated by globalization and automation. This has happened in the previous two recessions and is worse this time. Experience has shown that balance sheet recessions last many many years. If insolvent banks are taken over such as the scandinavian experience then years. If propped up then it can be decades. The fed’s QE experiment mimics the bank of Japan’s attempt 20 years ago, and thus far the results are similar with differences. The BOJ got trapped in endless support, and our Fed is also trapped. Thus, markets rejoiced yesterday with proof of coming further support since all markets are basically gambling institutions that are dependent on free money. However, looking deeper it is concerning that our economy is doing so poorly even with massive fed support. Thus, we will see a repeat of QE 1 and 2. Short term bump in the market, with pressure in the indeterminate future. This necessitates QE4,5,6,etc, unless something is done to Address consumer demand which means jobs, since the consumer is in a deleveraging mode. Without jobs is is unlikely that people will buy too much RE, except the supremely wealthy. And no, I dont mean a SFer making $200k, I mean those making $1-2m+. Also, without jobs for the middle class and the flyover staters, who will buy SF iPads and do google searches? Thus, although perhaps sf will do better than other metro areas, i dont believe it will be overly special, it will likely do about the same plus or minus a little compared to other areas. Will re fall much in nominal value? Unlikely IF the govt can prevent it. The reason is because the banks can not survive more falls in re valuation. Obama bernanke and congress care only about the banks. Thus re will be supported. Not for people, for the banks. all that said, they may not be successful. My actual forecast of re depends on how qe3 is rolled out and what asset classes it focuses on, since re is a centralized economy now, and not a market economy. My actual forecast for the economy is repeat recession relatively soon. That’s been my thought for sone time. Last Thoughts then I’ll stop. There are a few things that constrain the fed from doing QE and prevent QE from solving all problems. First, the use of QE leads to rampant commodity appreciation. This causes food and energy to soar. The typical American cares not about international finance, but they sure care if gas and food prices skyrocket. It also leads to world starvation which leads to uprisings. $150 oil anyone? Also fed must watch gold like a hawk, as higher gold leads to loss of faith in dollar. Second it leads to foreigners not wanting to buy our treasuries. Contrary to popular belief, the US can NEVER go bankrupt. It is not physically possible. But we can have a currency crisis and lose dollar reserve currency status which would be painful to say the least. The fed, as owners of the dollar, does not want that. We, as oil importers dependent on cheap FOREIGN oil do not want that. Third, the fed can have its power removed by congress. Thus it must play politics. Politics are not favorable for QE again yet. It still needs more cover. QE won’t help the economy anyway. It simply transfers yet more wealth to big finance. But since big finance is where all the money and power is at, we do it. If they weren’t, they should have been. It has always been part of comparing housing costs over time. It’s not my problem if other people weren’t making the comparison — it’s still accurate. The “micro-level” “changing city” stuff is just a smokescreen for reality. The example A.T. gives is a good one — if you buy for $1M and sell for $1.05M 7 years later, you really didn’t come out ahead (either because of realtor fees or inflation). Sure people feel psychologically better that they didn’t “lose money,” but that doesn’t change the facts. Their money buys less stuff. It’s also inconsistent to say things like “oh, well golly gee, a mortgage allows me to make the same payment in 2041 as I make in 2011, so I get to take advantage of inflation,” without acknowledging that inflation can also have negative effects. Another reason those types of statements are bunk, of course, is that housing stock can be improved quite significantly and often has been in the years we’re talking about. Yeah, that’s the other thing. Once you get past the 2004 nominal hurdle, you suddenly jump back in time 3 years. The Prestige Index is currently only $100K above the nominal 2001 peak. I find it hard to believe that people do not look around and realize this city has changed a lot in the last 8-10 years. Particulary in terms of gentrifying southward, and eastward. Or the population increase, the shift in the workforce, etc. Truly, it’s something that boggles my mind on here when folks talk that talk. Perhaps they did not live here in the late ’90s or early 2000s? That’s the only thing I can think of, if folks are being honest. Yes, well, one thing people fail to factor in is that that is a constant. Before the years we’re talking about, after the years we’re talking about. This town will always be a remodeling epicenter and a carpenter’s paradise. It’s down to relative expense + density of SFRs + Prop 13 keeping so many older properties immobile. But again, that’s irrelevant when we’re talking about same house sales. If it sells for X in 2000 and X+[amount less than inflation] in 2011, all of that doesn’t mean anything. If despite the numerous factors that should have resulted in a real value increase (as opposed to a nominal one), there isn’t a real value increase, then doesn’t that tell you something? In addition, it’s hard to argue that the recent housing boom didn’t exacerbate the trend because more transactions than usual did happen, and more of those transactions did involve remodeling (whether fake “remodeling” or real remodeling) than usual. That’s why we try to compare apples to apples. At that point, what does a statement like what does saying “there was no home in Noe Valley that was priced at $X” really say?” Yeah, it’s not 1992 any more, I think at least some of us agree. It’s like saying “Back in the day, teachers used to live here.” Okay, great. Again, all of this is still orthogonal to the inflation issue. It may boggle your mind, but the boggling should be unrelated to inflation. Sure, the exact same house. But in many parts of the city you can find the same style of house and you can observe what it does, over and over again. The 4027 Cesar Chavez house is an example of a house that’s probably two on every block of Noe Valley. So if you’re inclined to say, “It’s an apple or it’s not worth considering,” then that’s just you. Others are looking at what certain things are doing across markets, and gaining insight. Because remodels happen in every market, and for the reasons I’ve laid out. This happened almost everywhere. Incredible gentrification has happened in almost every major metro. A lot of it was financed with debt not with income though. How much was debt and how much due to income in sf??? If income related then the gentrification may hold. Ifndebt based then perhaps not. The explosion of IO and ARM and option ARMs post 2000 in sf does not bode well… But we will see IF conforming loan values drop in the near future. But in many parts of the city you can find the same style of house and you can observe what it does, over and over again. The 4027 Cesar Chavez house is an example of a house that’s probably two on every block of Noe Valley. So if you’re inclined to say, “It’s an apple or it’s not worth considering,” then that’s just you. You can either argue “it’s all micro bro” or it’s not. You’ve always argued that houses in Real SF cannot be commoditized this way. You can’t have it both ways based on convenience. Again, you still haven’t refuted anything about inflation yet. It’s still the only real way to compare prices across time periods. It’s very similar to analysis of prior housing busts, as I mentioned — it took a while for 1990/1991 prices to come back nominally, but it was clear when they did that they weren’t worth as much as in 1990 or 1991. That’s not what I’m saying. Ascribing value to a typical house in a specific neighborhood IS very much micro. It just doesn’t have to be the very same house — an apple — for me to know its value. Remodeling is constant, across markets. That’s why comparing $psqft from different years can be informative. It’s always a mix of remodelled and non-remodelled. Always a mix of legal and illegal square footage, total fixers, etc etc. And I’m not interested in “refuting” inflation. Nor am I interested in entertaining the idea that no appreciation occurred in the market between 2003 and 2007. That it was just inflation and nothing else, that an unfettered use of the CPI calculator is a valid tool. Okay, now you’re just making stuff up. No one suggested there was no appreciation between 2003 and 2007 and that it was just inflation. Some of the appreciation may have been phantom appreciation, but that’s another argument. Hate to say it, but straw man, brother. The rest of your argument has been quite inconsistent, but on that you’re consistent. Not saying anybody said it. I said it. I raised the CPI calculator notion. It’s just weird to me that that 200K for an imaginary house is probably about what [insert real house] in let’s say, Glen Park, would have done. actually, I don’t agree with this. There is some good anecdotal evidence that remodeling habits very much changed in the 2000’s compared to prior years. This is one of the reasons that we saw so much cash-out refinances. the cash out was used for remodeling. it’s also reflected in Home Depot and Lowe’s stock, as well as sales of Sub Zero and Wolf etc. I would argue that remodeling to high end furnishings very much accelorated in the Stainless Steel Granite Countertop rah-rah 2000’s, when any improvement was seen as an “investment” as opposed to the consumption that it actually was/is. Disagree if you like. Prop 13 plus the density of SFRs make San Francisco a carpenter’s paradise. Before stainless, post-granite, once everybody finally realizes HGTV is boring, what have you. ex SF-er, I read your posts and just wanted to put forth a few thoughts. First– yay to vacation and exercise . . . anyway. I agree with a lot of what you wrote but strongly disagree with the certainty that you have on QE3. Yes, the situation is more serious than the general population realizes. But the Fed is hamstrung right now. Ben has to talk like there are more actions that the Fed can take to give confidence that there is something left that the Fed can do. He’s talked about communication as a tool, lowering IoER, and of course the possibility of more QE. Bill Gross talked about having the FED do more but call it something else and have it take another form. His suggestion was to cap 2y rates at 50bps for 2years. But the FED is already split and even the dovish triumvirate of Bernanke, Yellen, and Dudley have their doubts both about the tools available and the risk/reward. Look at the Jackson hole speech at the end of last summer and the level of core inflation at the beginning of QE2 vs now. Last fall, we were looking at 0.6 and talking about deflation worries. Now, more action may be called for but the Fed’s available responses are more limited than last fall and the risk/reward is dramatically different. While they repeatedly talk about overall inflation increases being transitory, there is definitely a fair amount of dissension and concern within the FOMC this year. At a certain point, you have to ex out not only food and energy, but Owner’s Equivalent Rent, apparel, leisure goods, and a variety of other things. Yes, ex everything out that is going up and there is no inflation. The Fed prefers looking at core PCE and the same problem exists there even though OER has half the weighting as it does in core CPI. Basically I agree with your assessment of the overall situation but I think no QE3 is possible because– the Fed is stuck. It’s funny– the economists I talk to think QE3 is farfectched. The majority of fixed income people also think the chances are very very slim. But the majority of equity folks all ask when does QE3 start. But that’s the fun of it and differing opinions make a market. As far as SF housing goes . . .well, I haven’t a clue. If you put a gun to my head and told me to choose– I am an undramatic bear. I don’t see any sudden drops to mid 90’s pricing like some do here. But I do see a possibility of many years of trading sideways lower– with little blips like this spring where some nicer unique properties trade– possibly even at higher levels. I know a lot of people who are uncomfortable in their mortgages and homes right now. But most of them are still employed and are still making their payments. They didn’t have the dramatic resets higher that everyone expected. So I just don’t see much forced selling in SF going forward. Yes there are some high profile places that are in foreclosure but that is the exception. A large part of the apprecation of the 2000s was driven first by a move lower in rates with Greenspan keeping Funds at 1% and 10y trading down to 3.06% but the second leg was all of the “creative” financing. I can easily see all of that appreciation ultimately, but I think it would take a few factors and it would happen over a period of years. And it won’t happen in a straight line. There will be blips of activity here and there. It only takes two buyers being told whatever by their realtors to bid a place up. But prices fall incredibly slowly without forced selling and I just don’t see that happening en masse in SF. I can’t imagine buying a place here with less than a ten year horizon minimum from a financial standpoint. Who knows– maybe we’ll get back to a house being a place where one lives . . .
At this point, might as well be debating how many angels can dance on a head of a pin. In case you haven’t been keeping up with current events, on Aug 3rd, the U.S. is going to technically default, or at least come close enough to prompt a rating agency downgrade, and then the 10y yield is going to start trading UP and mortgage rates are going to then start being increased accordingly. We’ll then get a real-world experimental confirmation or refutation of the contention so often discussed here, that increased mortgage interest rates will reduce the amount buyers can pay and therefore supply downward pressure on closing prices. There will be no QE3, there is just not a strong enough situation (yet) to warrant it. As Ex-SRer says, this is something reserved for a crises, and a long period of slow growth does not qualify as one. How far will this go? I actually expect all the way to the pre-85 level, so for about four more years of slow growth. If you believe that we are headed for the pre-bubble trendline, then only another year or so. These post-debt bubbles take a while to work off and we are only maybe half-way through cleaning this one up. I expect slow growth until both bank and household balance sheets look better, but no looming recession. The Leading Indicators do keep getting weaker and weaker though, so this soft patch might turn out to be something more serious. I doubt it though: lower energy prices should prop up consumer demand a bit.